Thomas and Elmer are brothers, sons of Ira Oakland and Isabelle Thuestad. Elmer Arthur Oakland, 1881-1962, married Sena Bjerge. Thomas Lewis Oakland, 1863-1918, married Mary Ann Sanderson (my great-grandparents). 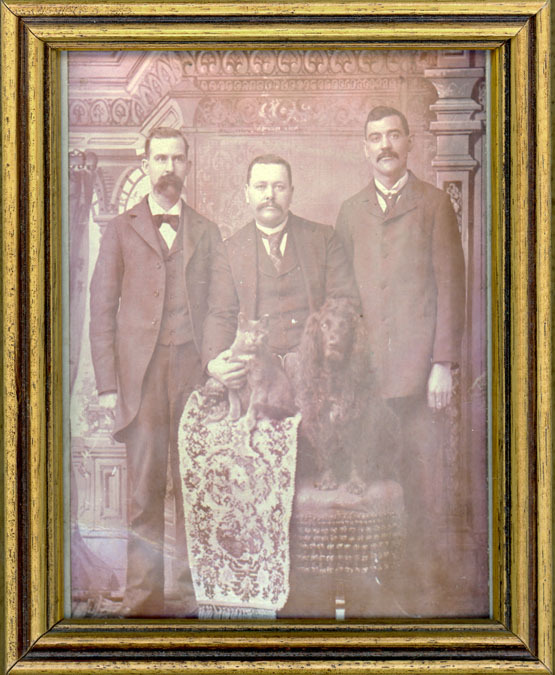 In this faded cabinet card, I especially like the cat and dog. 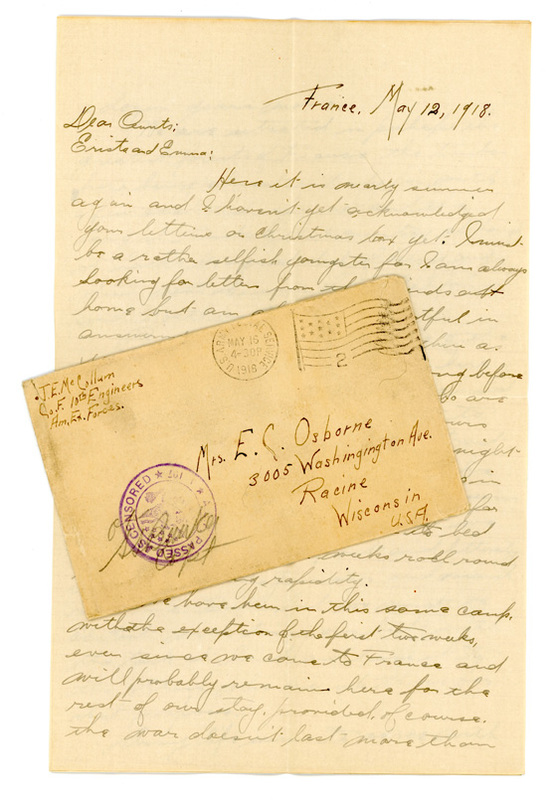 My guess for the time frame is the 1910s – that would put Thomas Oakland in his 40s. Do you think that’s correct? 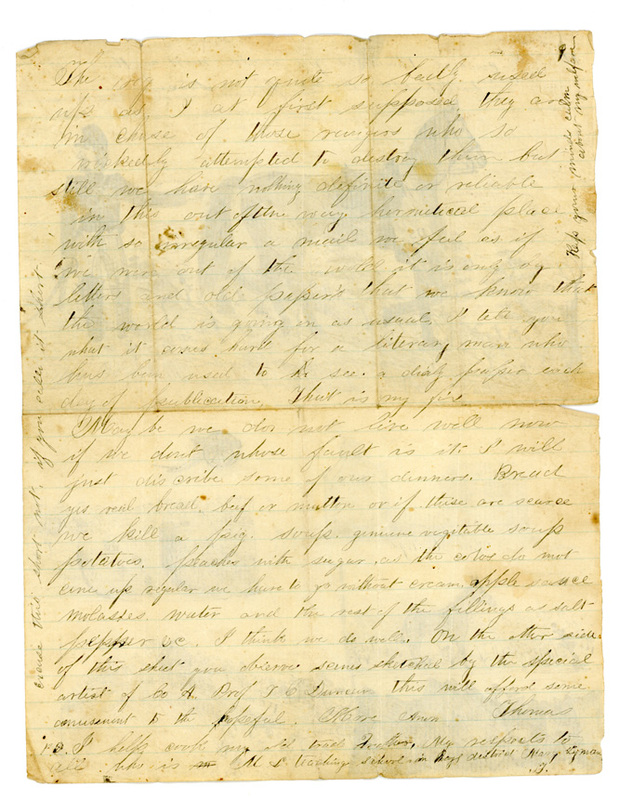 J. E. (Edgar) McCollum wrote a letter to his aunts, Emma Duncan and Erista Osborne. 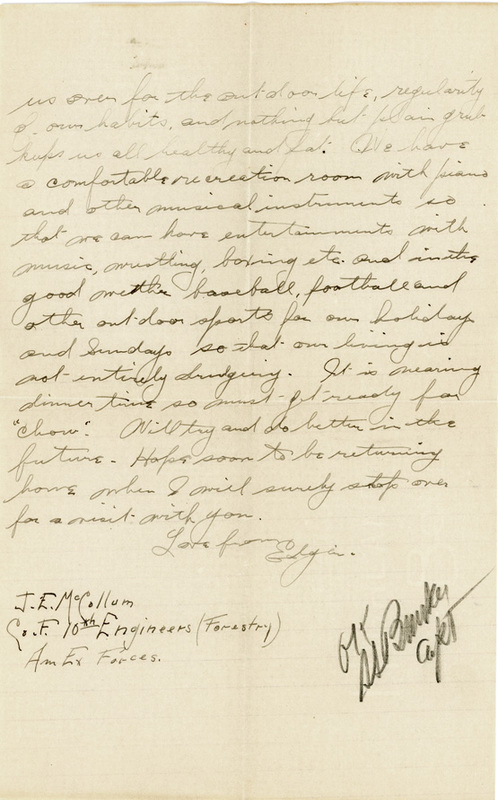 It was May, 1918 and he was stationed in France with a forestry unit, Company F 10th Engineers. 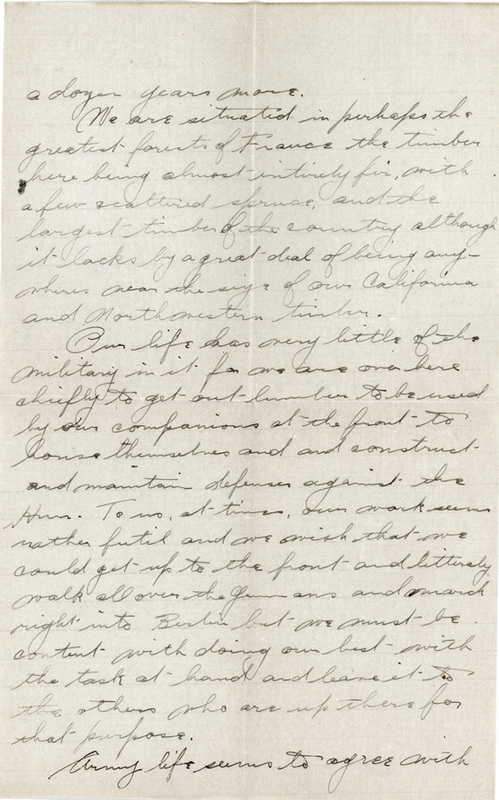 The letter was censored – okayed on the last page. 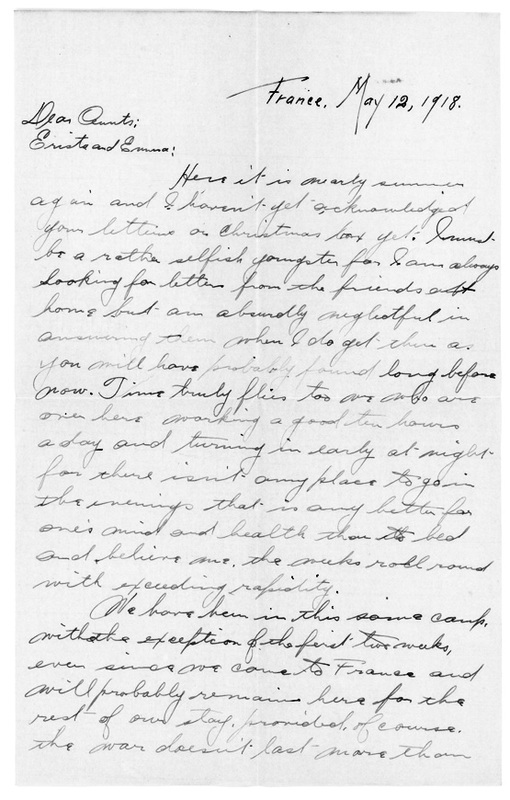 Now Emma did marry into our Duncans, but this letter really needs to be with Edgar McCollum’s family. 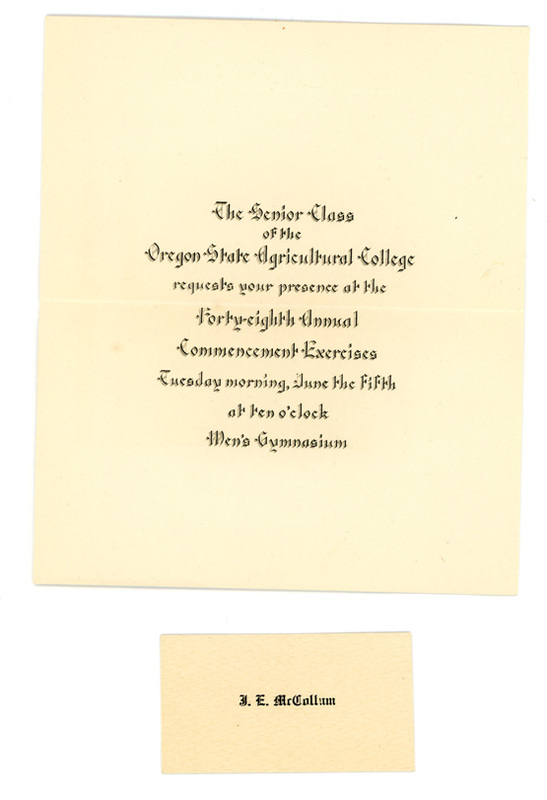 This is his graduation announcement from Oregon State Agricultural College. 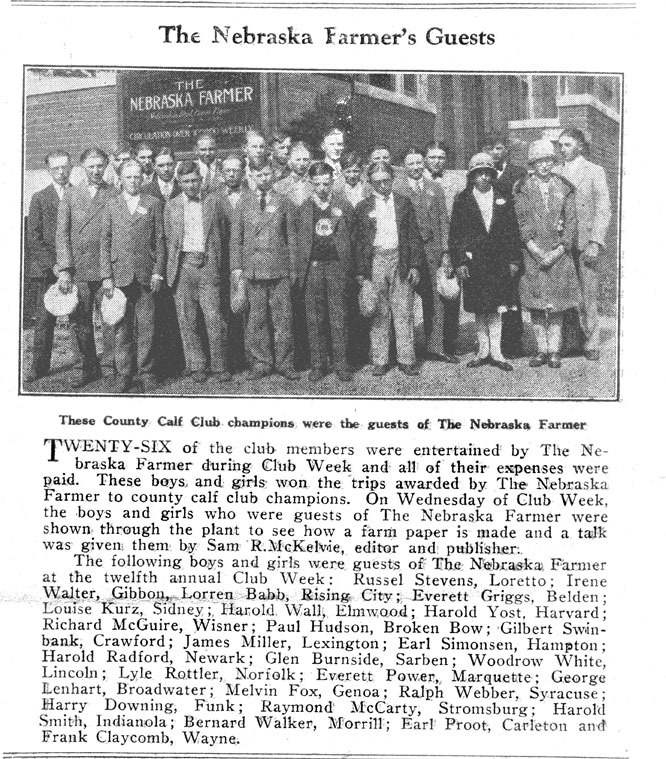 The previous post was my father’s article about Club week. 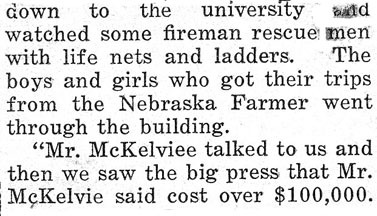 Here is how The Nebraska Farmer covered it in 1927 – most of the article – the lower half wasn’t saved. And here is a larger image of the group. The only one who looks like my father is the boy in the center front row with the circle on his vest. 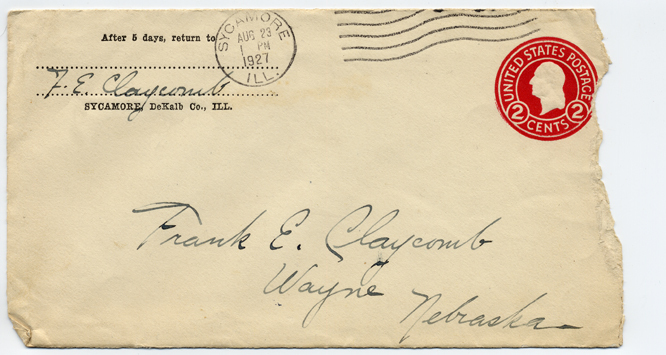 Among Thomas Cation Duncan’s papers, I found this card (calling card size). It dates from the Civil War. 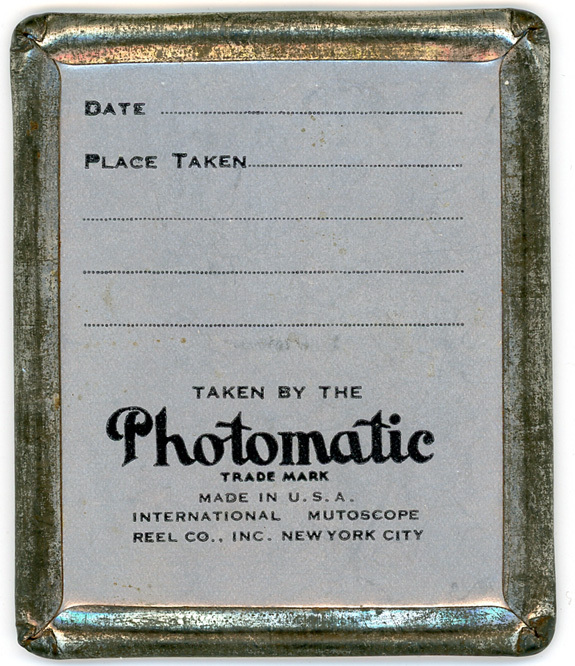 The photo has been cut out and pasted on this card. 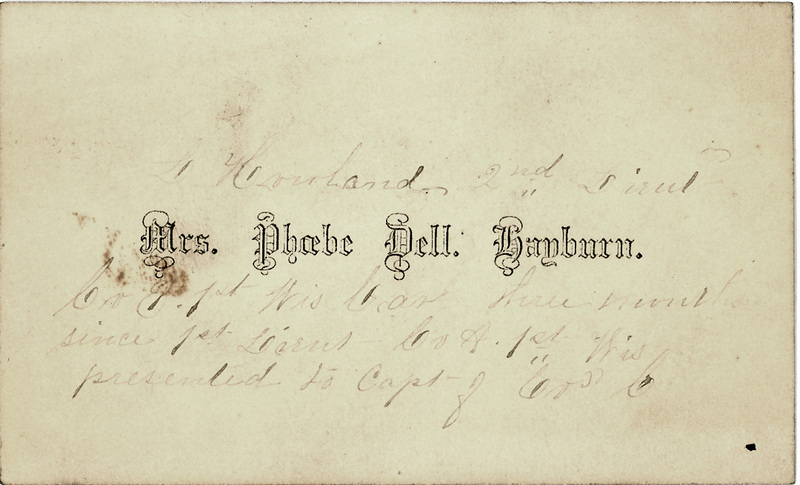 Printed: Mrs. Phoebe Dell. Hayburn. 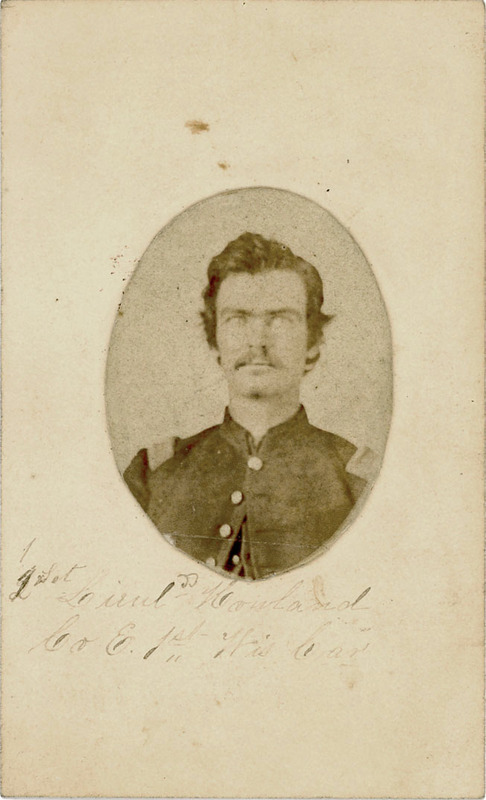 T. C. Duncan was in the 1st Wisconsin Cavalry with Lt. Howland. I do not know who Mrs. Hayburn is. 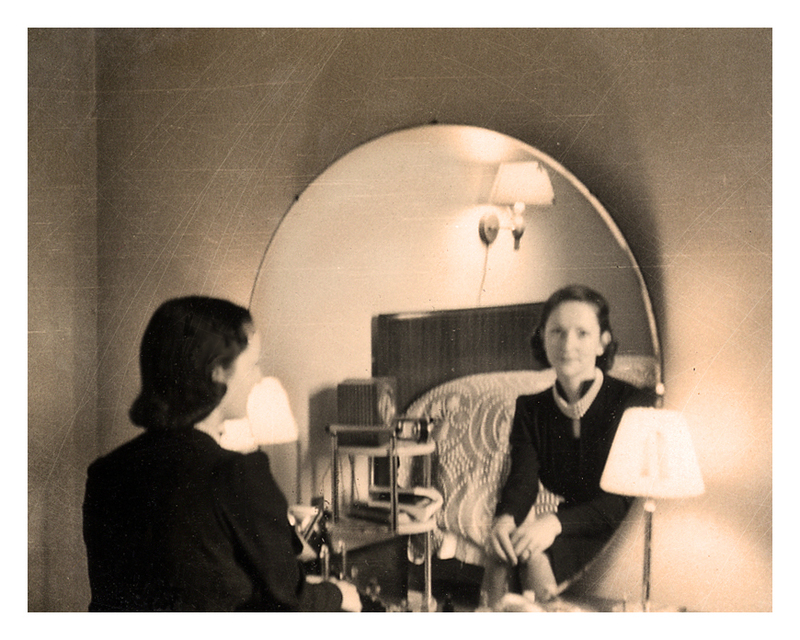 This is part of my “Lost & Found” series – things that belong to someone else’s family. 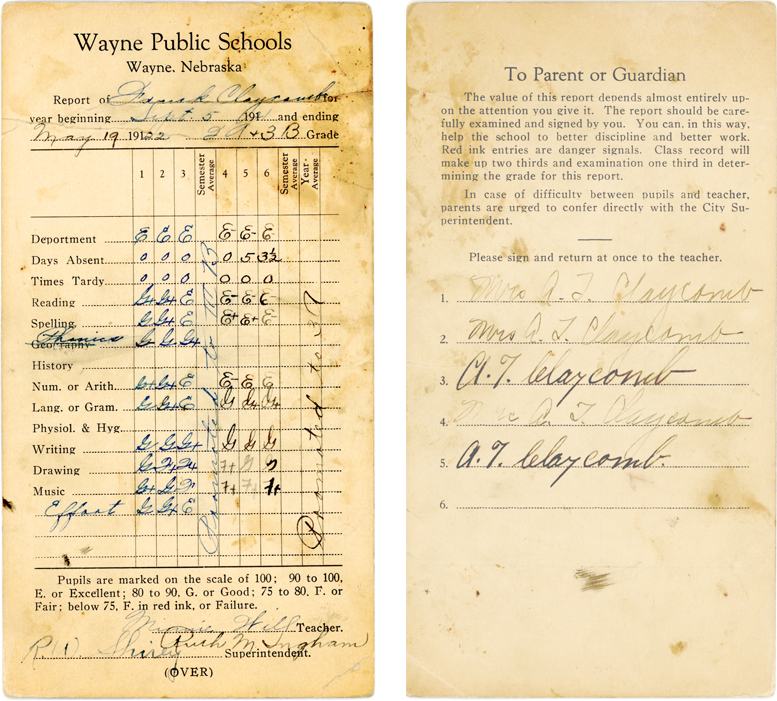 It’s fun to see my father’s report cards from 2nd, 3rd, and 4th grades in Wayne Nebraska Public Schools. The grading was a little shocking at first – the presence of ‘Fs’ was alarming, but they stand for Fair – unless they are in red. Red F is failure, but Dad didn’t have any of those. The forms are the same for all three years. 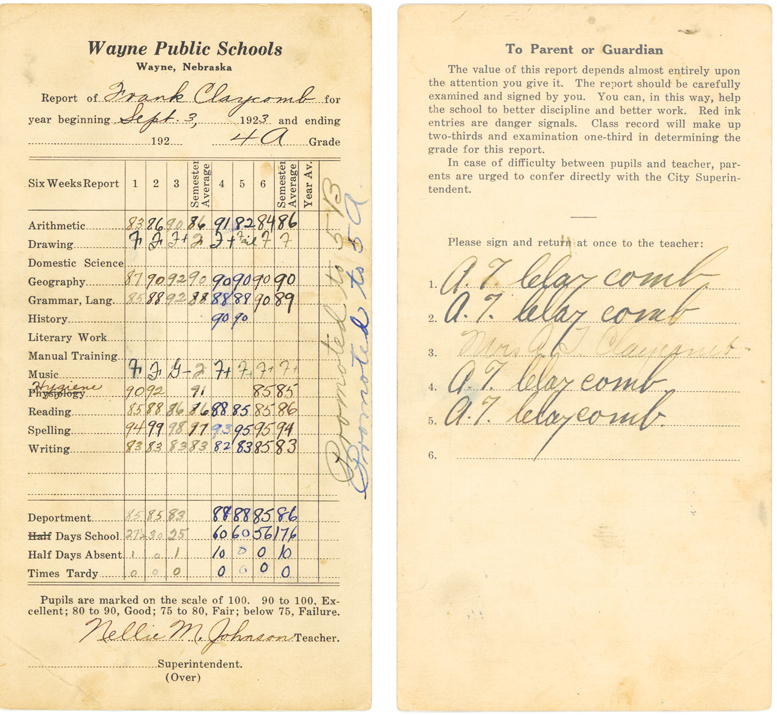 The teachers who signed them are Minnie Will, Ruth Ingham, Florence Haldeman, and Nellie Johnson. 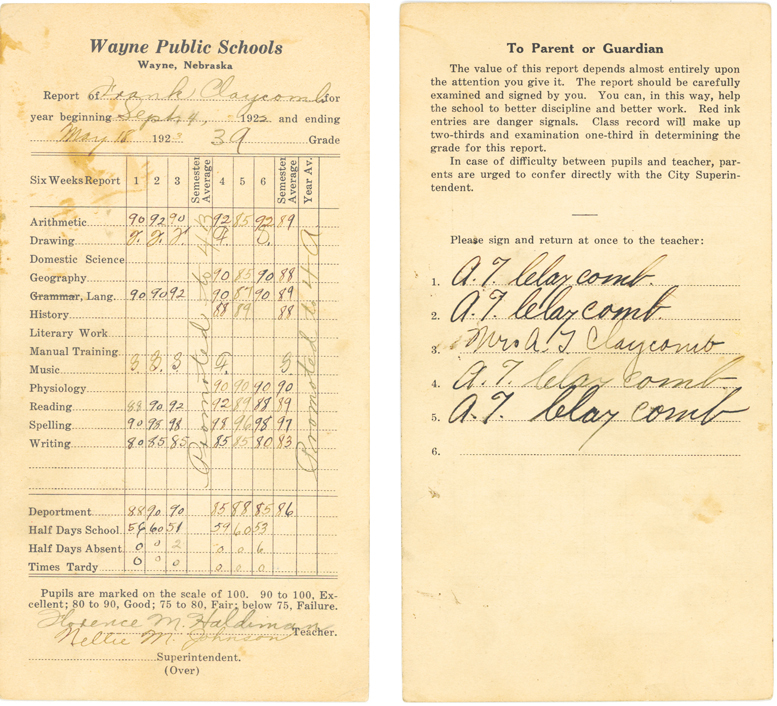 The Superintendent was R. W. Shirey. The [reg?] is not quite so badly used up as I at first supposed. They are in the chase of those [?] 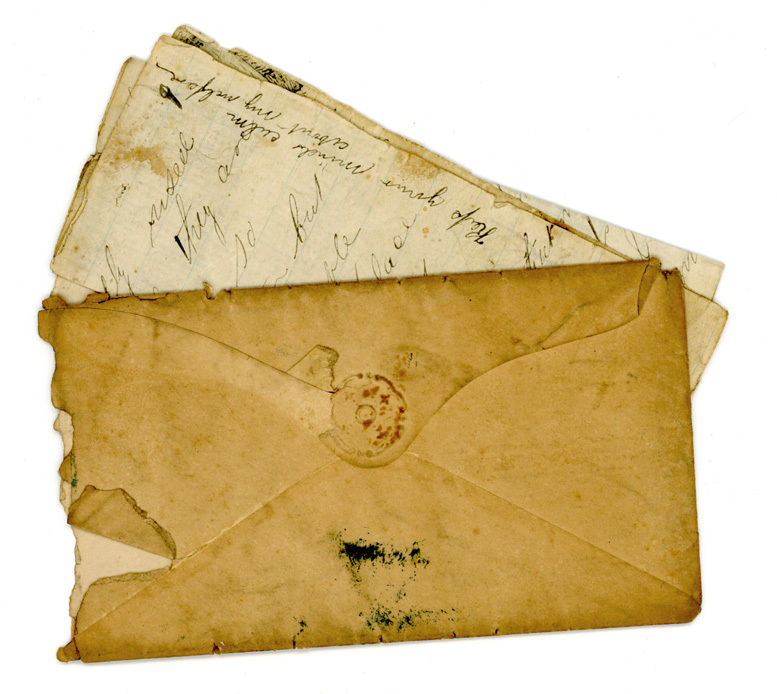 who so wickedly attempted to destroy them but still we have nothing definite or reliable in this out of the way hermetical place with so irregular a mail we feel as if we were out of the world. 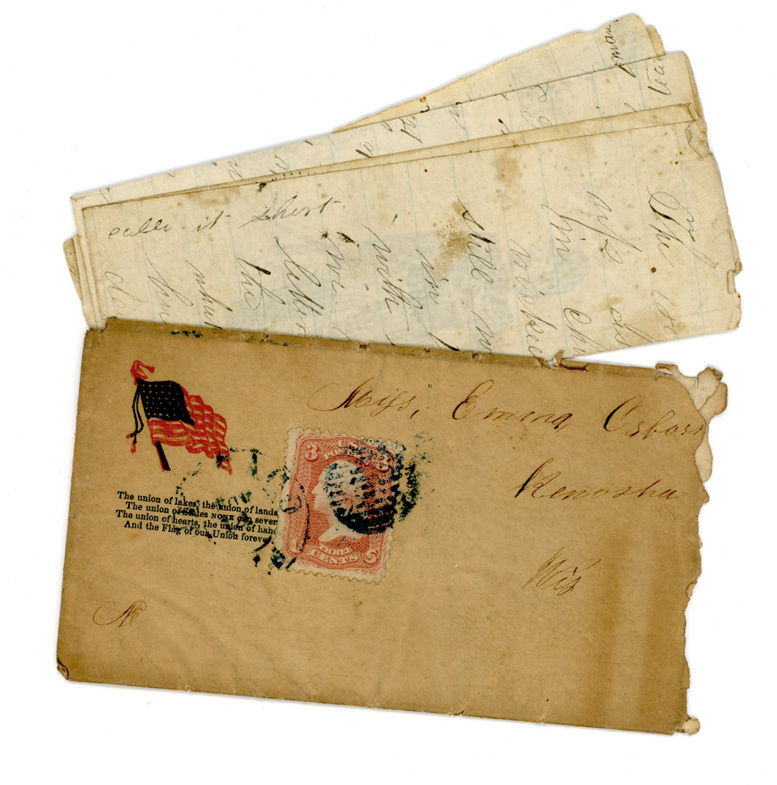 It is only by letters and old papers that we know that the world is going on as usual. 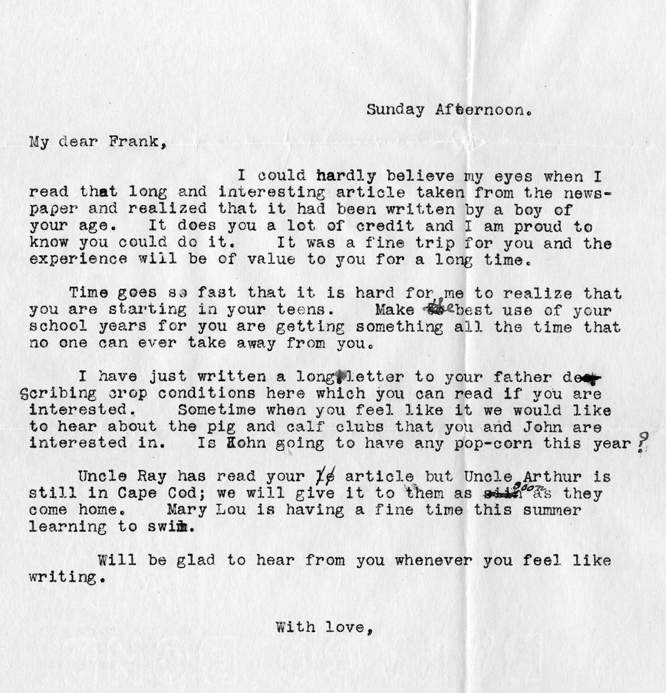 I tell you what it comes hard for a literary man who has been used to see a daily paper each day of publication. This is my fix. PS. I help cook my old [?] [?]. My respects to all [?] is M. L. teaching school in Boys district. Mary Lyman. T.
[on the left side] Excuse the short note if you call it short. [on the right side] Keep your minds calm about my welfare. At the top of the drawing: Conceal these as you would most anything using my old books for instance. This was difficult for me to transcribe. 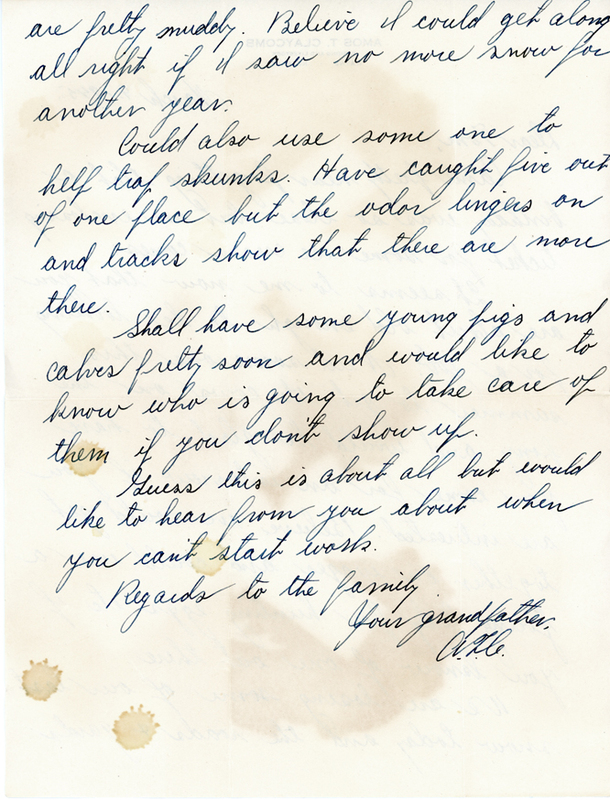 I kept the spelling, punctuation, and capitalizations as I saw them. The PS is almost without meaning! 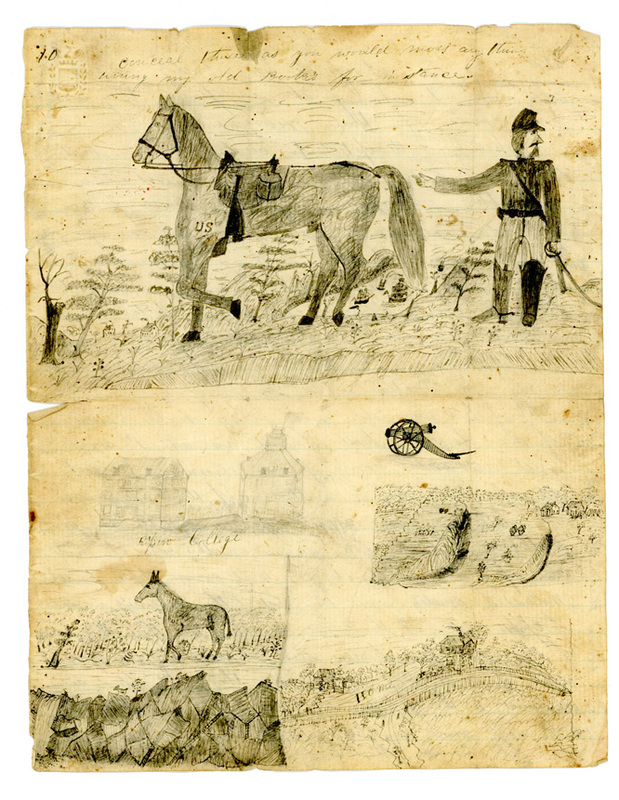 The drawings on the reverse include Ripon College (which might explain the reference to teaching), home, and cavalry scenes. 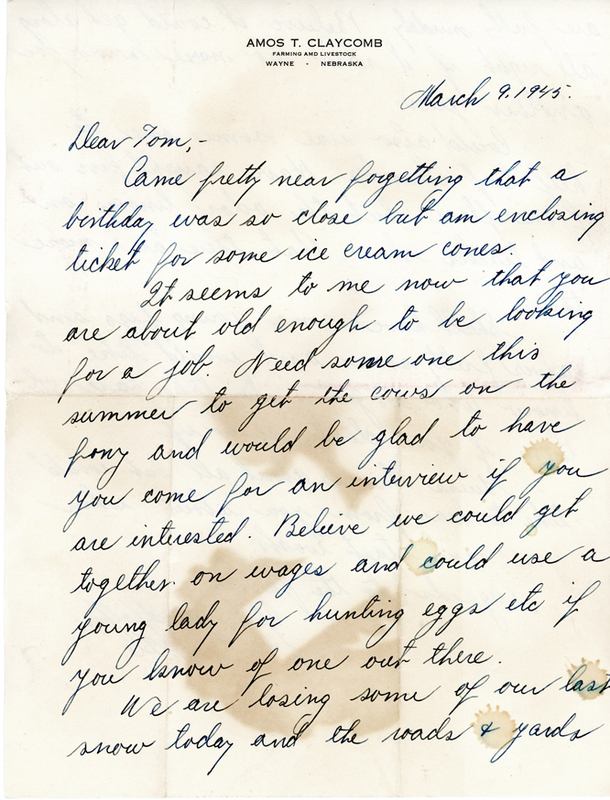 Tom is four years old in 1945 and lives in California. 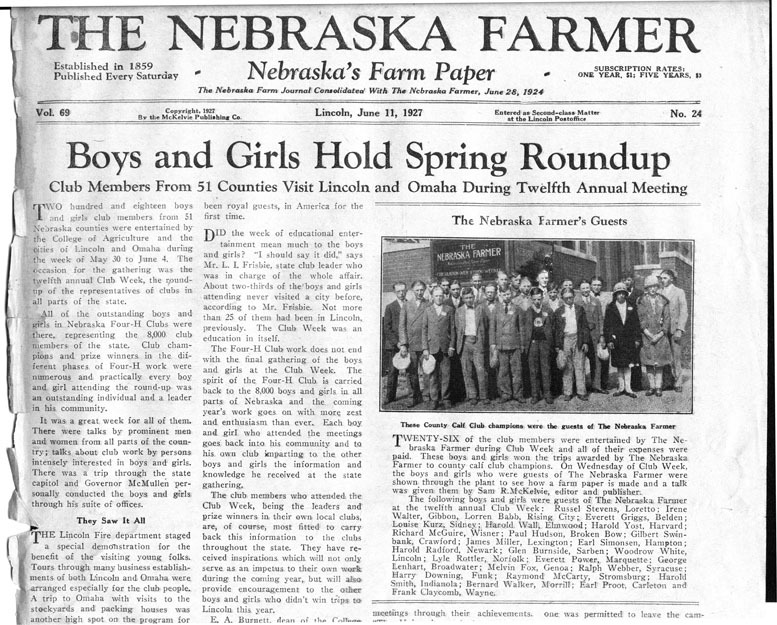 His grandfather, Amos Claycomb, farms in northeast Nebraska. 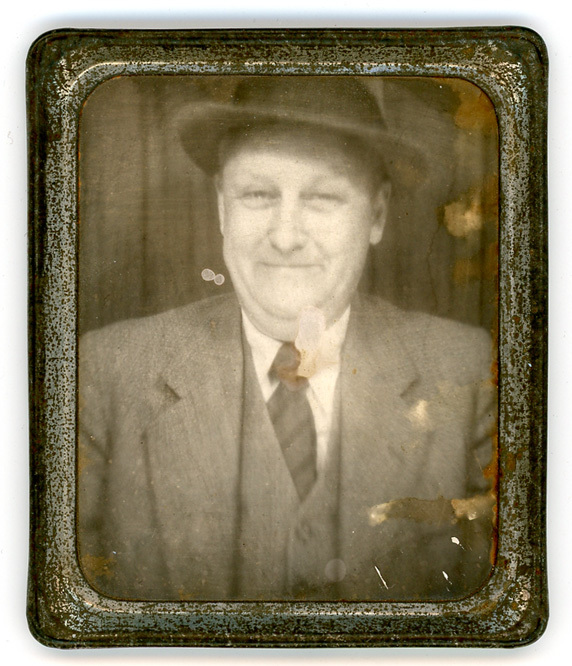 This damaged Photomatic with the scratched frame was the photo of her father that my mother chose to keep on her dresser. It does show my grandfather’s joy of life.